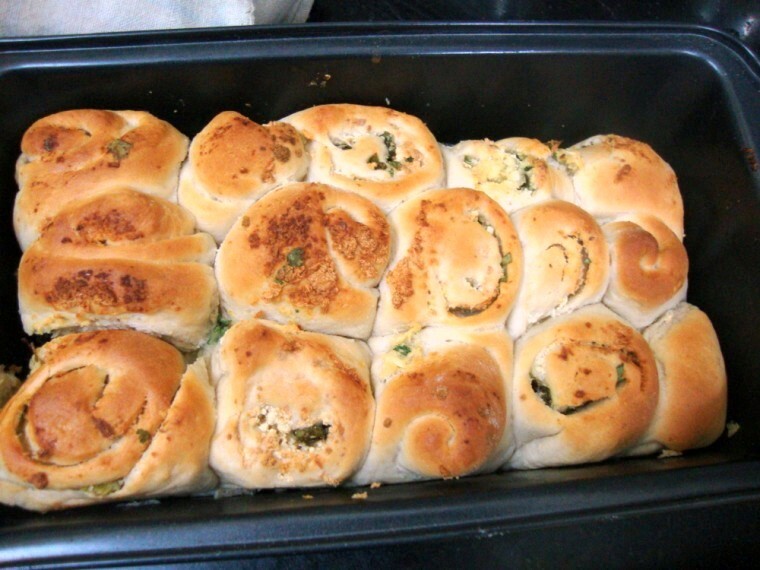 Garlic Pull-Apart Rolls | Paneer Mint Pull-Apart Rolls - a Step by Step Recipe | Blogging Marathon Begins! If I thought getting back my baking mojo was a great thing, there was nothing to compete the feeling baking these Garlic Pull-Apart Rolls does to you. Even when I was baking years ago, I never attempted baking breads much. And rolls, buns were on my list for a long time. I have a big cookbook with breads from different countries. The pictures look so beautiful and very often I sit with it and browse through it wanting some inspiration to come in for me to bake something from them. But beyond feeling all flushed up, I end up feeling everything looks complicated. 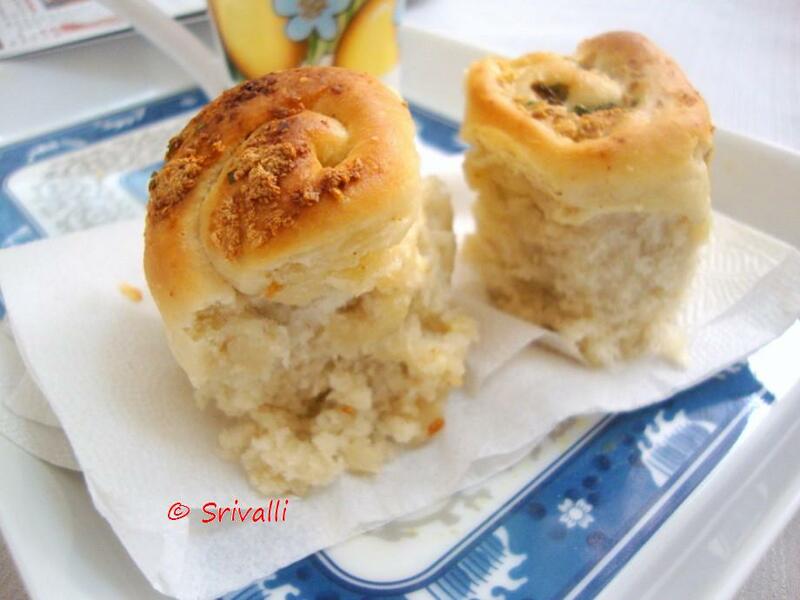 Then many months ago I saw these garlic rolls from Suhaina. I have ever since wanted to bake them. I have been procrastinating until Aqua tempted me most with her new flavours of making some with Paneer. Now I had to make these. So I was keen that I will make the usual flavours and also include something of my own. 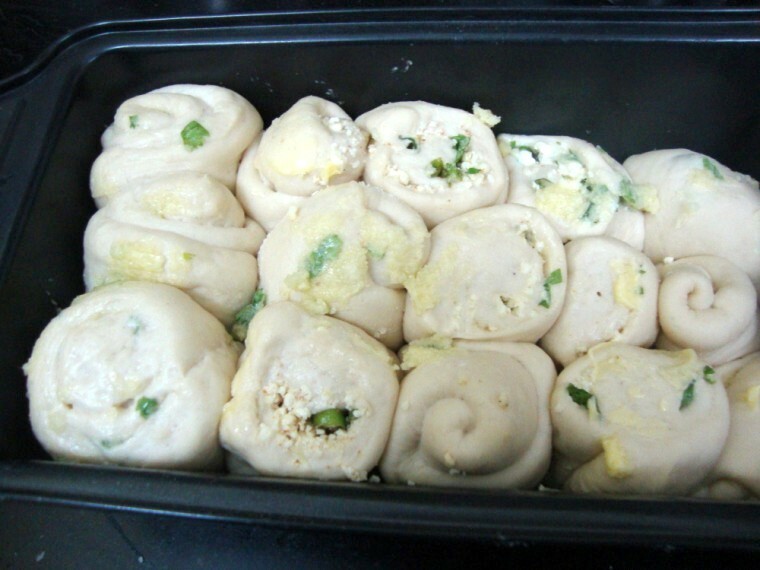 So added mint leaves and wow it tasted so much like the Masala Buns that we get from bakeries. Though the baking time I ended up spending on this was quite long. Maybe I did it that way but the yeast was very active and I could have done this much sooner. I was so happy seeing how much Konda liked this. She wanted me to make these everyday. Well that’s the statement I get to hear when they like something very much. 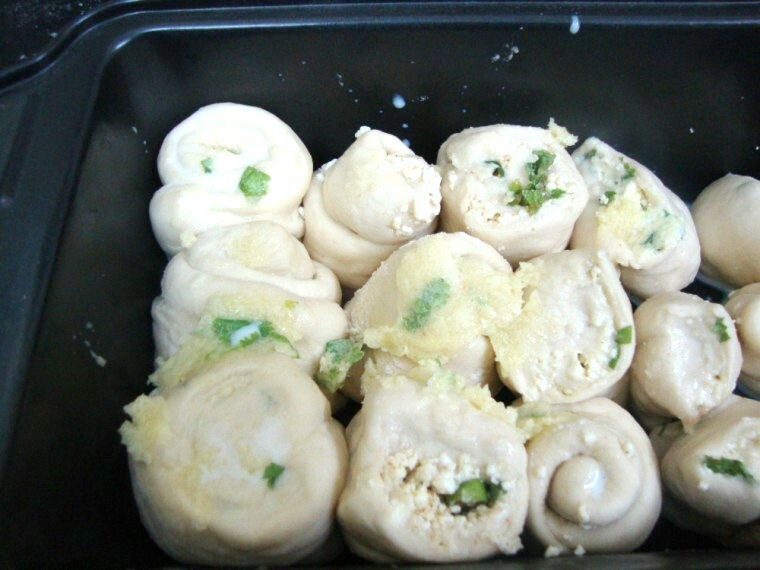 After tasting it, I felt why the name is called pull apart when I hardly could pull myself away from eating them. Another exciting news to share, yes Blogging Marathon for next 7 days begins today. I am stumped! We have 24 bloggers participating this time. One of the most important aspect of being part of the Marathon is the community feeling I get when I do. The way everybody takes time to visit others and give feedback is great and the way each one of us stretch beyond our limits to create a new post everyday makes it all the more fun. Check out the 26 bloggers running hard the next 7 days with a theme to boot! I have selected to post about Kid Friendly dishes. 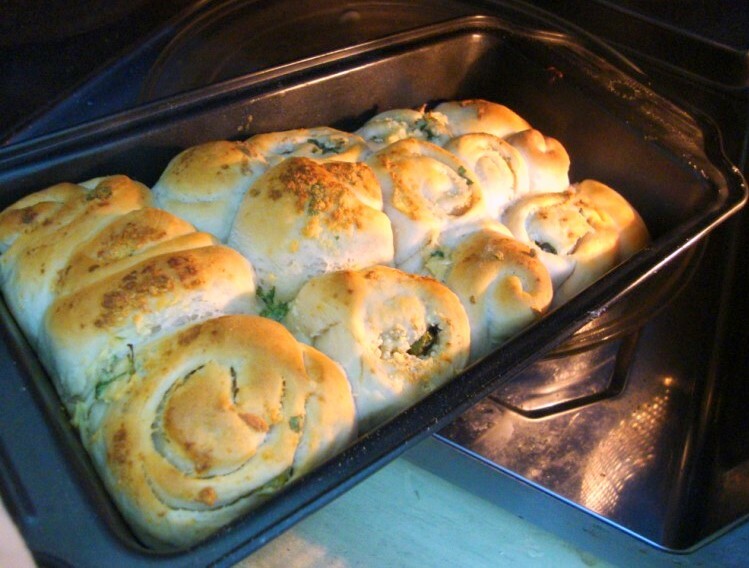 And nothing can beat Garlic Pull-apart roll at that! 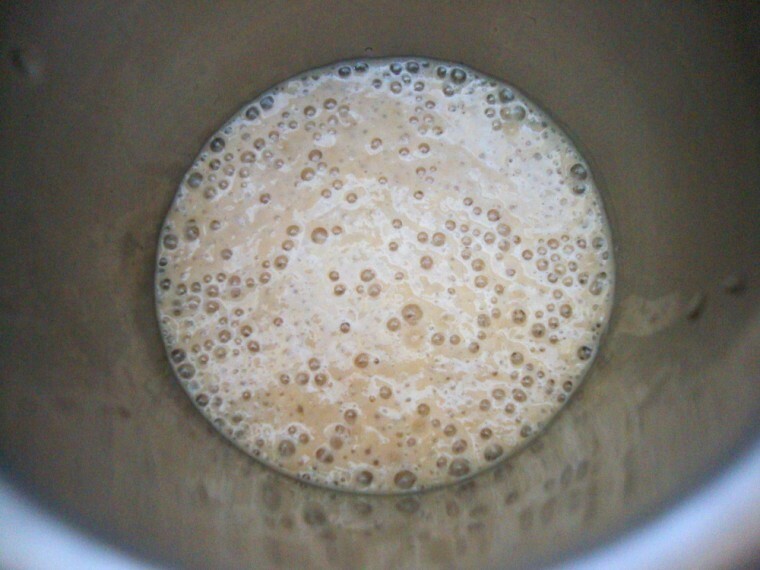 Get the yeast in a glass along with warm water, sugar. Close with a lid and after 10 mins, it should look like this. All frothy. 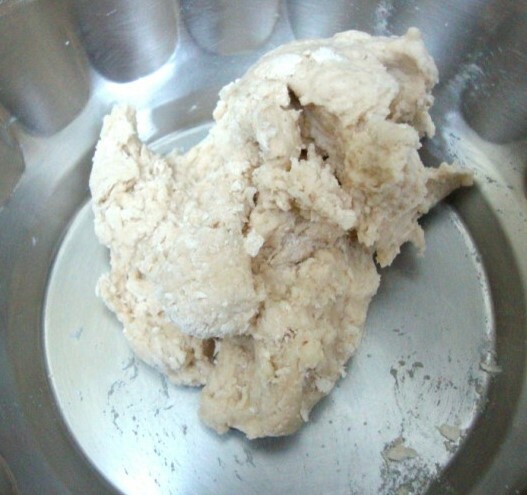 Knead the dough with water, salt and yeast. Slowly add the olive oil. Keep kneading again. 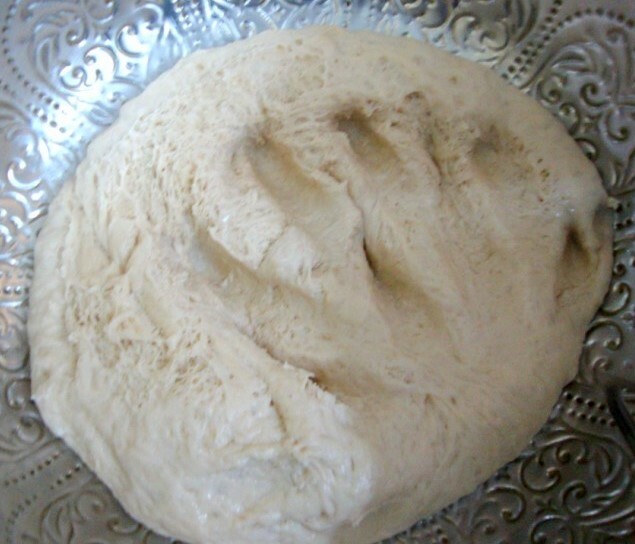 After kneading for 10 mins, it should look like this. Grease a bowl with oil. 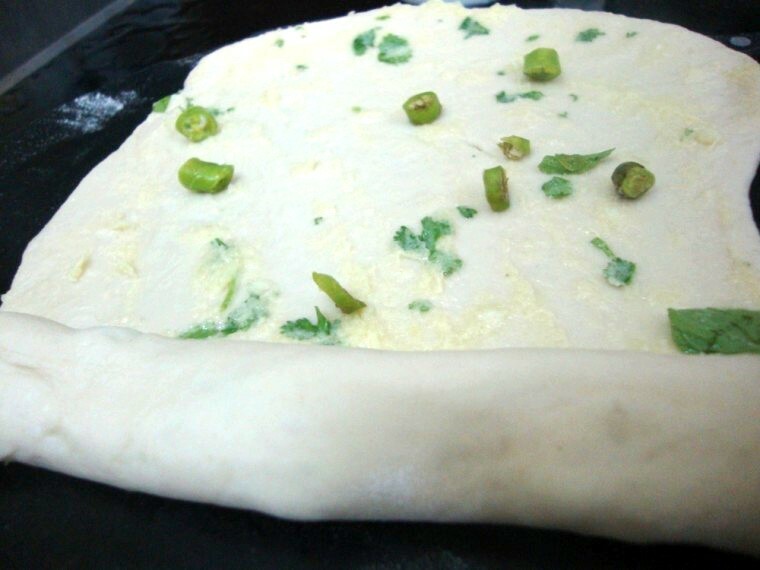 Punch down the dough, cover with a wrap and keep it aside for 20 mins. See how it has risen up, almost doubled it’s size. divide into small balls, dust well and roll out. 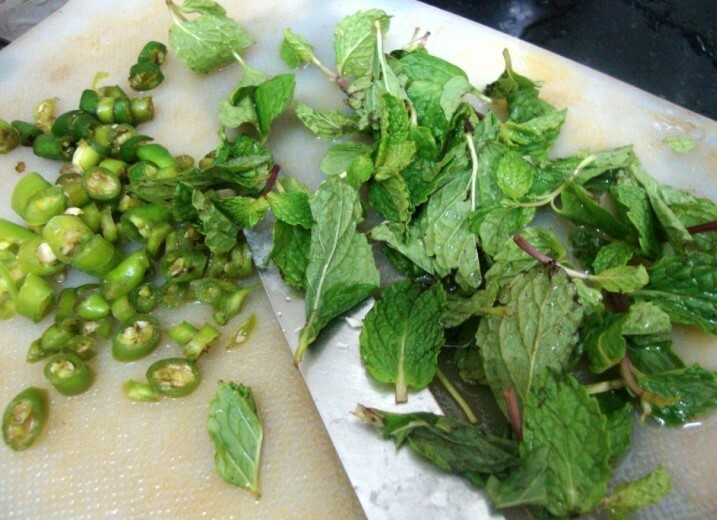 Garnish with few green chilies and start rolling inward. The other spread I made was the paneer mint spread. Once this is tightly rolled in, cut into small pieces. Grease the pan and place these small pieces into them. Keep it aside. It will rise in size again. Bring butter to room temperature. Grate and pound the garlic well. Beat the butter well, Mix everything together. Continue beating for couple of mins for thorough mix. Grate the paneer, add all the other ingredients. Mix well. In a bowl, take the yeast, add lurk warm water, sugar. Cover it and set it aside for 10 mins. Once done you will see a creamy foam formed on the top. This means the yeast is still active. If not please get another batch of yeast else your bread will never rise. In a wide bowl, take the flour, add salt. Then add the yeast mixture and slowly add water to mix in. Knead till the flour forms a dough. At this stage it will be very sticky. Then add the olive oil and knead well. 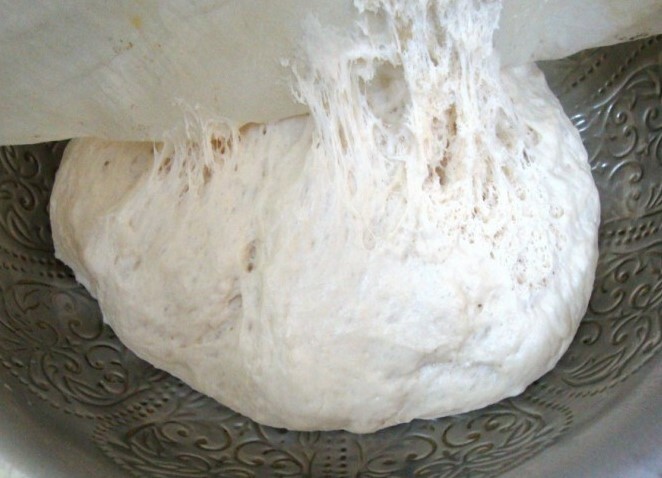 Continue doing it till it forms a smooth dough. Punch it down couple of times. 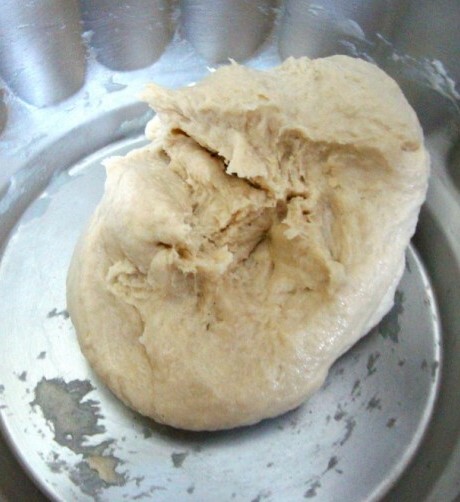 When you press the dough, it should spring back. 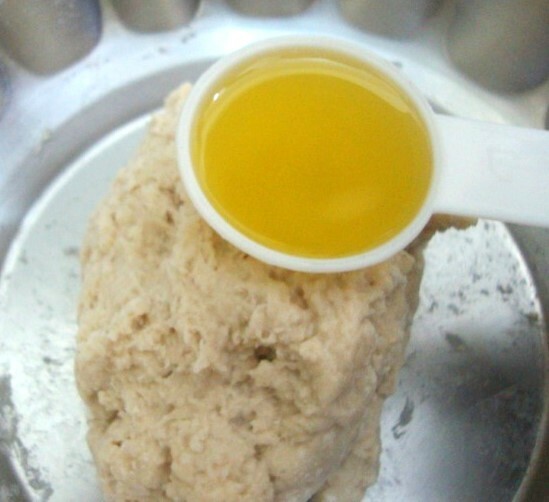 Grease a large bowl with olive oil. 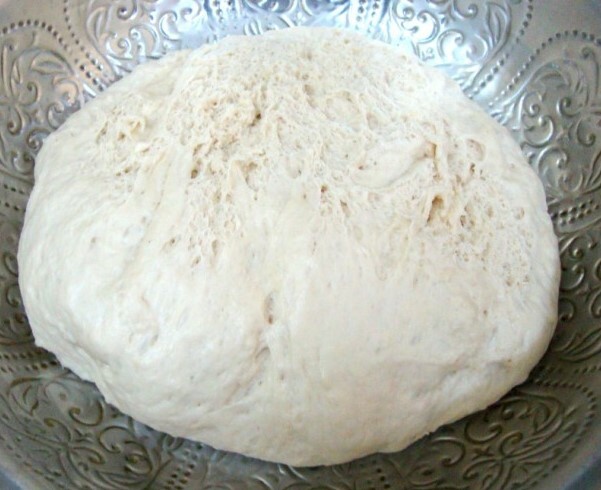 Apply the dough with oil by turning the dough in the bowl, cover the bowl with a damp muslin cloth and let the dough double. By hour’s time my dough doubled. 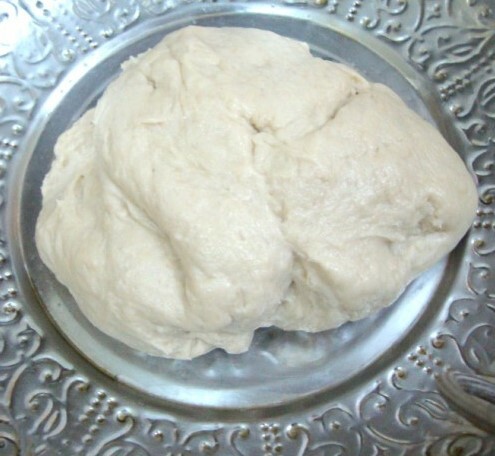 Remove the cloth, punch the dough to remove the air from the dough and divide it into two. 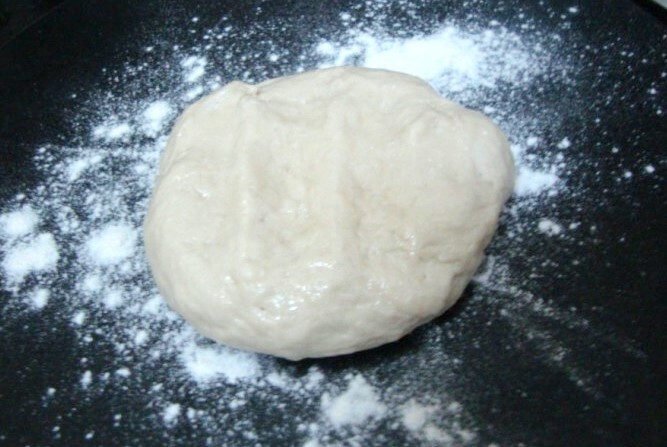 On a well floured surface, roll out one ball into a rectangle about 1 cm thick. 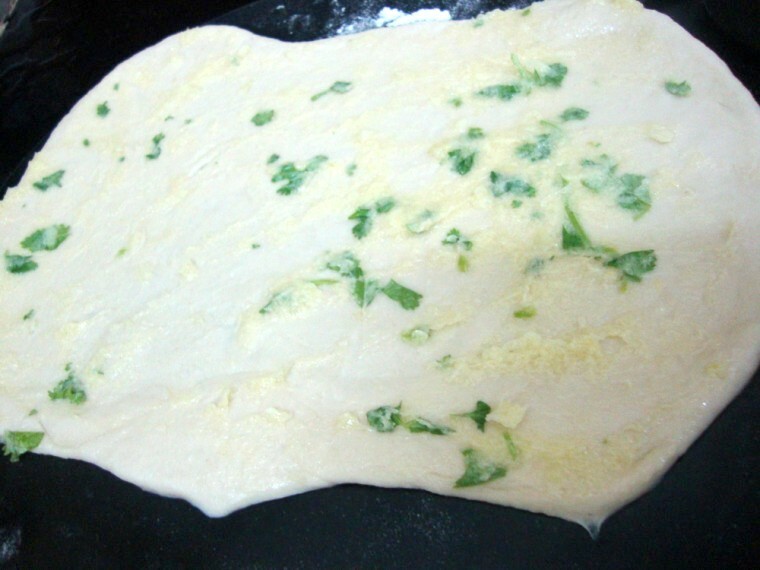 On one rolled out dough, spread the garlic spread evenly over it and roll it into a log. Cut into small pieces. 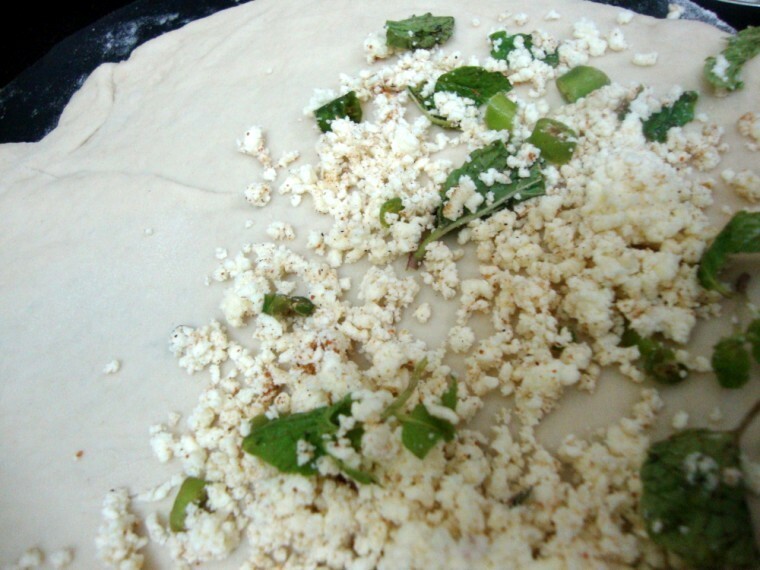 Then continue with the second ball of dough as the garlic, spread the paneer mix on the top, roll into a log and cut into equal portions. In well greased baking tray, place the rolls cut side up and brush the top with some milk. I placed both the flovours on a line. Keep the baking tray aside for about 20 minutes for the rolls to rise. Meantime, pre-heat the oven to 180 deg C.
Bake for about 30 – 35 mins till the top of the rolls turns golden brown. Once done, brush with a blob of butter over the top of the freshly baked rolls. This gives the rolls a lovely shine. When cool enough to handle, pull them apart and enjoy! Both the flovours were excellent. The paneer Mint tasted so much like the buns we get in Nilagris. Blogging Marathon will be most exciting I am sure as we are 26 of us this time! 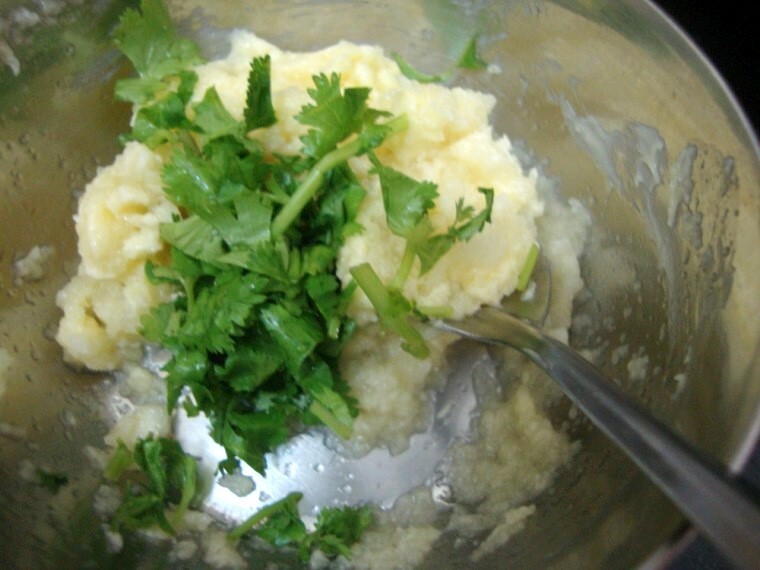 Srivalli, I can sense the warmth and smell the garlic in melted butter – getting hungry! Nice one, Valli….this one's been on my mind since I saw it on a few blogs. Wow!!! Very Very Tempting Valli!!!! I can feel the freshness of mint!!!! The rolls look amazing Valli. Lovely snack. Very yummy rolls. Nice step by step tutorial..
yum yum!….I have my version sitting in the drafts…I wish I could get my hands on one of those right now….they look awesome! Wow! these buns would have been a delight to bake and devour for sure!! pass them along please! they do taste great..i vouch for it.. 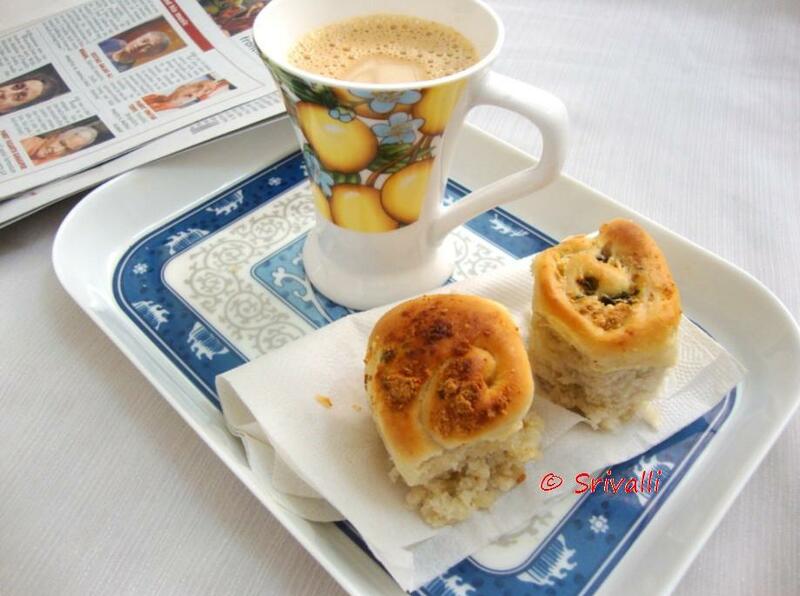 I am just stumbling on ur recipe…its nostalgic ……thanks for the step by step pics…..
Amazing Rolls. Looks o delicious. 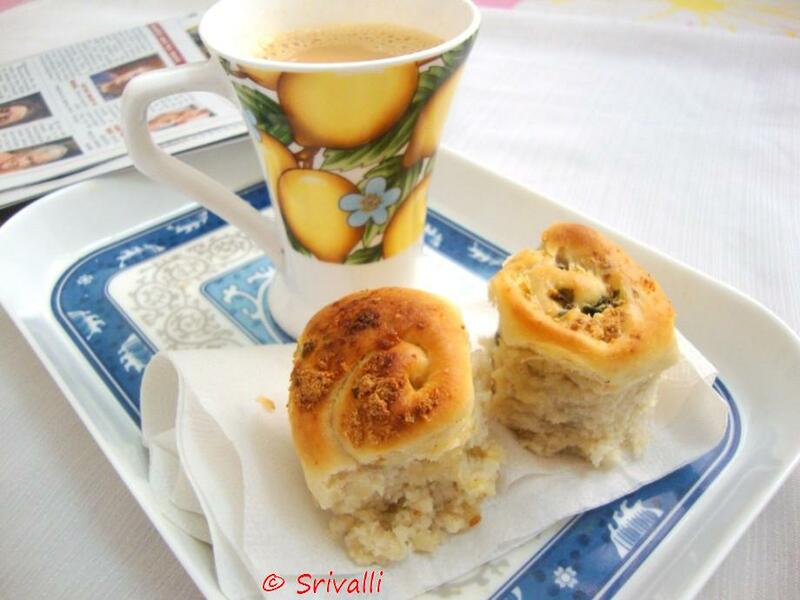 Rolls looks outstanding, feel like having some..
Love ur flavors and ur clicks! 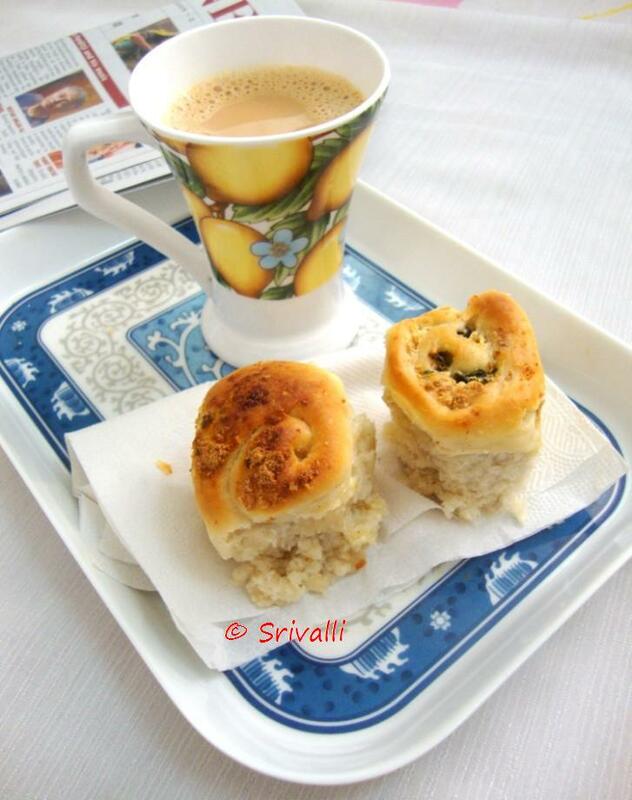 Thanks for the step-by-step recipe..
amazing rolls valli perfect with tea will try this..
My two favourites together – Mint and Paneer….bookmarking this recipe.. i m def going to try this one… Great clicks and amazing recipe..
You are such a high energy women valli..May God Bless!! 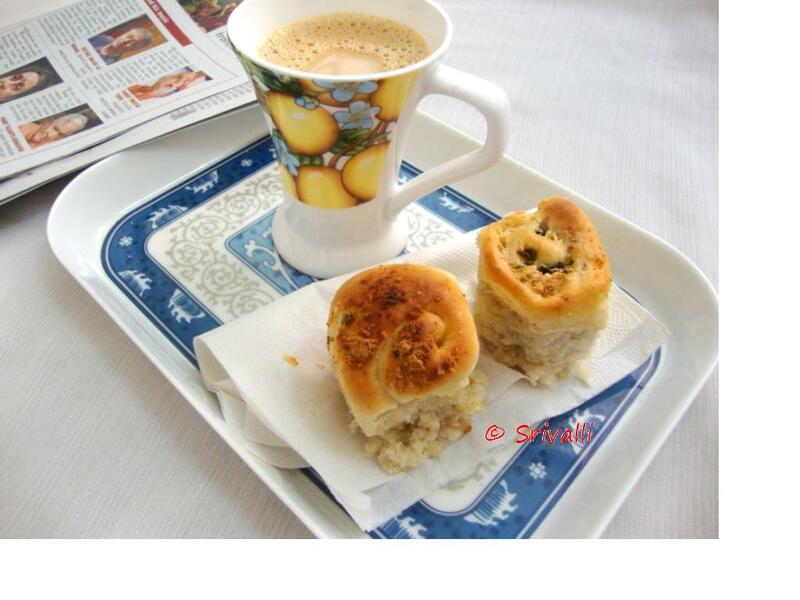 I love garlic and it just enhances the taste even more better…Loved ur garlic rolls..virtually..Super,book marked.. I know if I make this at home, my husband will be very happy. A tip from someone who has been baking bread for a long time – Try to roll the dough to a rectangle when you are planning to make this kind of rolls. 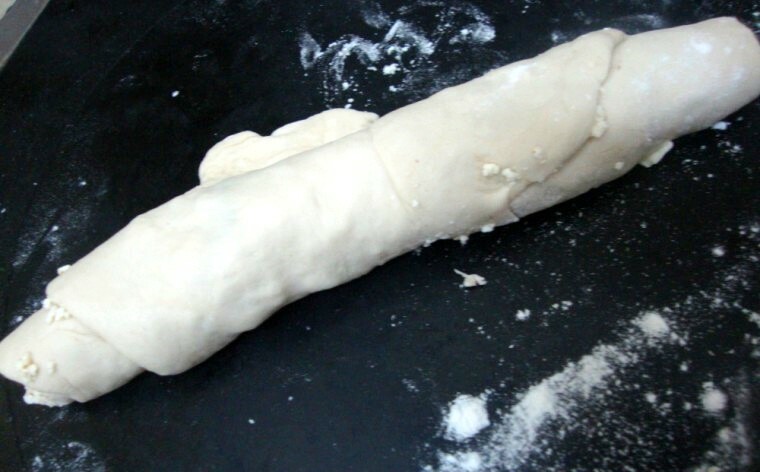 If it resists to rolling, cover with a cloth and leave it for 5 – 10 minutes. It will relax and let you roll. Use a bench scraper to cut the rolls and don't pull the knife to get perfect looking rolls. I hope you don't mind me saying all these Valli. It took me a while to understand the picture of yeast. I haven't seen yeast like that in my life. 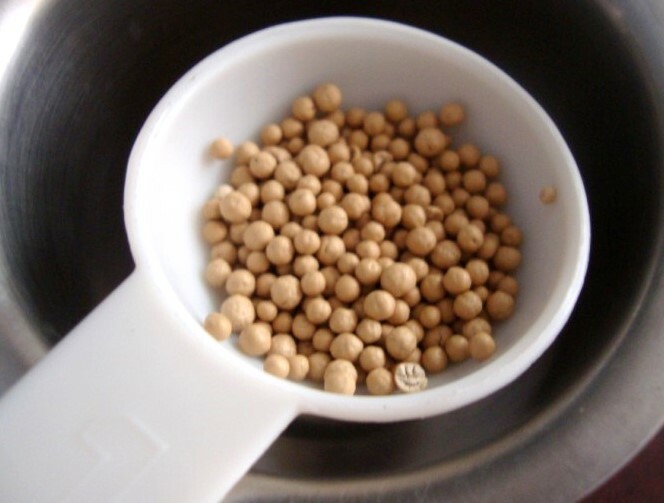 I have seen yeast that we get which is finer granules. Looks like this is very delicious! Seen these pull apart buns making rounds on quite a few blogs.. The rolls look absolutely delicious. I too made similar ones from Suhaina's blog! Lovely to have with a hot cup of tea. Though I don't eat garlic, I am sure my family would love it if I give it a try. Srivalli. Glad you chose kids friendly dishes.. i will be visiting every day to get new ideas.. the break looks awesome.. am sure my son would love it. great pictorial..